WEST LONG BRANCH, N.J. — Democrat Governor Phil Murphy’s polling position could be a lot worse, Save Jerseyans, but the results of a poll released Wednesday suggest there’s room for both improvement as well as electoral danger. The numbers: 44% approve of Murphy’s job performance while 28% disapprove. There’s a partisan split among Democrats (65% to 7%), Republicans (17% to 59%) and independents (41% to 33%). In April 2010? Chris Christie’s approval rating was net negative at 41% to 44%. Similarly, Jon Corzine was slightly upside down at 34% to 37% in April 2006. 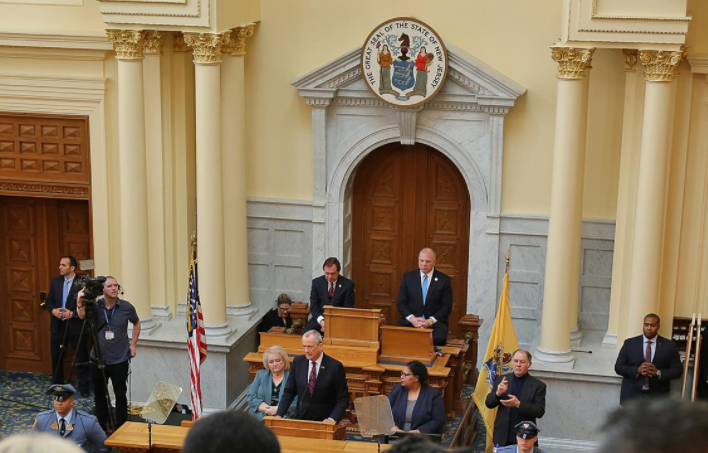 38% don’t know enough or have no opinion concerning Murphy’s recently unveiled inaugural budget which includes dramatic spending and tax increases; 13% and 30%, respectively, said the same of Christie’s and Corzine’s budgets. Previous Previous post: N.J. Democrat Chairman gets $92K government job… signing people up for food stamps!